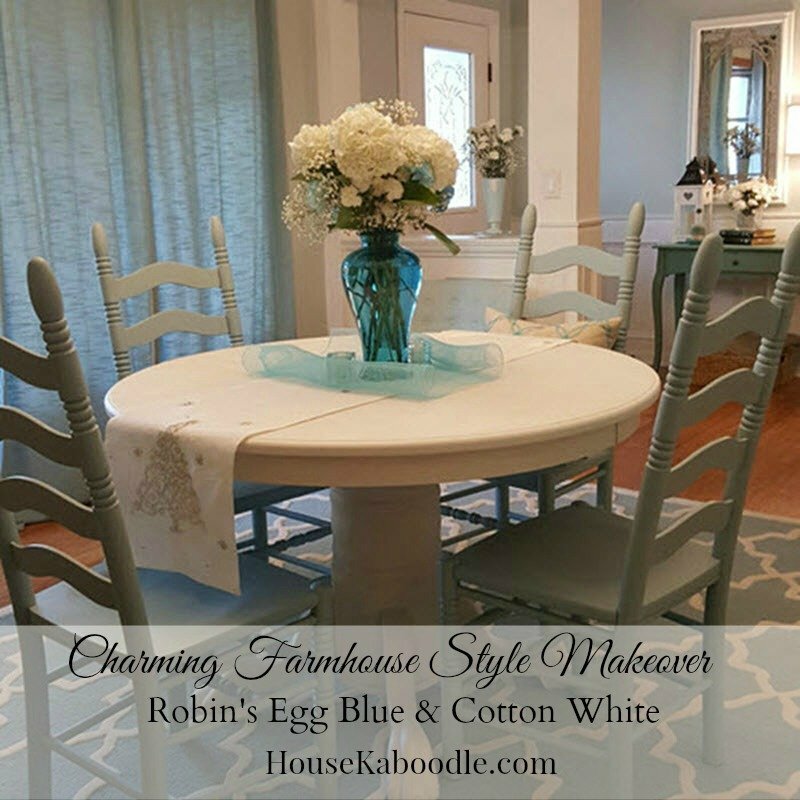 I am excited to share our Farmhouse style table and chairs makeover with you. We have been busy updating our front room and I am happy to finally have the table and chairs painted. 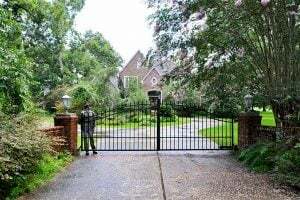 Some of the projects I’ve shared are removing the popcorn ceiling, new interior doors, building an entryway and how to add a decorative glass window to a front door to list a few. 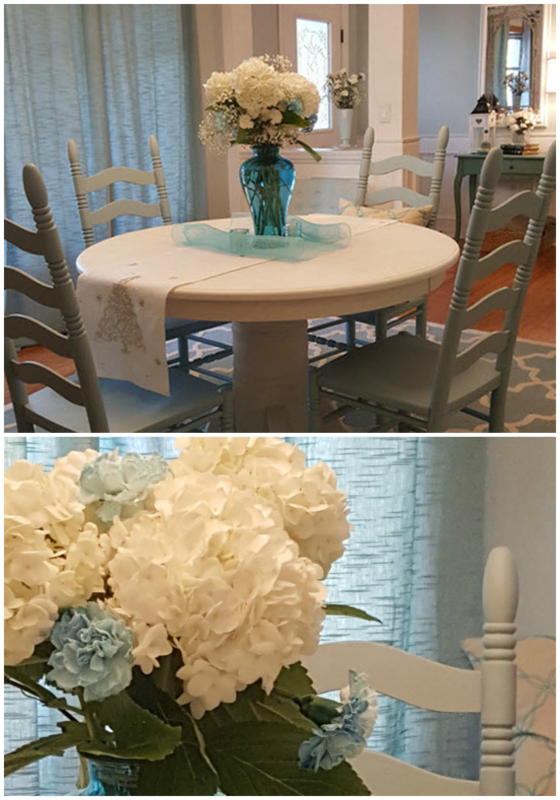 I’ve been itching to paint our dining room table and chairs to match the decor for a long time. 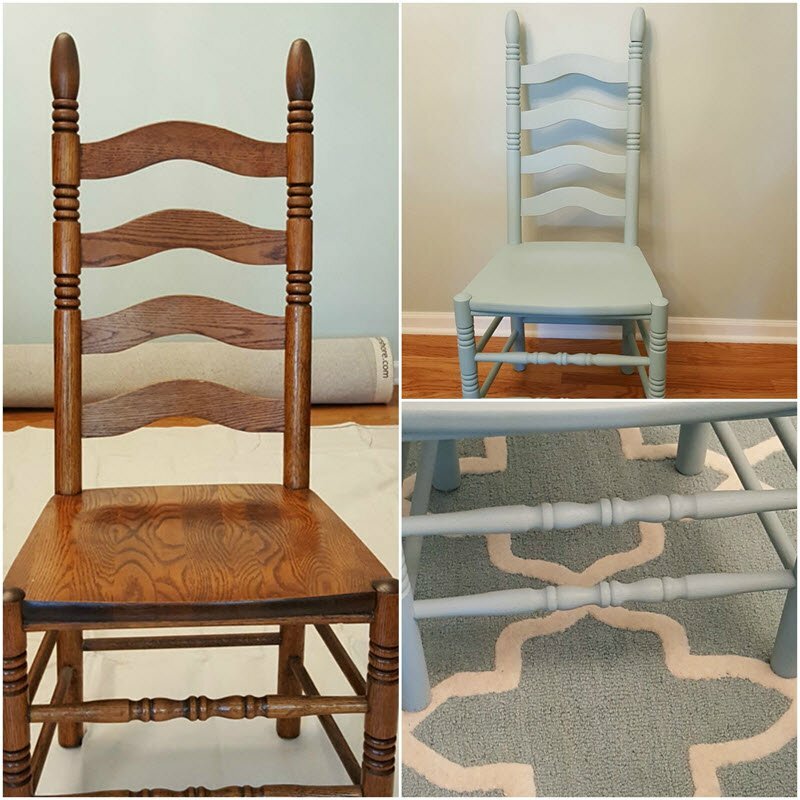 Thanks to Vintage Market and Design Paint I was able to do the makeover. Now our table is transformed into a charming Farmhouse Style table and chairs set that goes with our new home decor. Our dark wood table and chairs either had to go or get painted because it was an eyesore in our new dining room. To make cleaning and painting the table easier we took it apart. 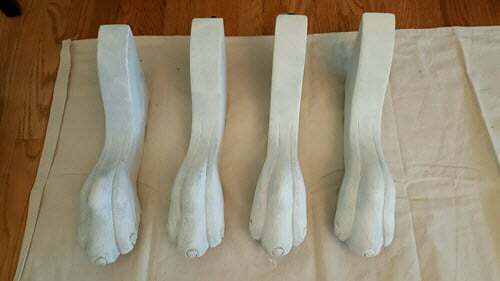 It was much easier to paint the claw feet and base of the table like this instead of crouching on the floor under the table or turning the table upside down. I used Vintage Market and Design Cotton White and Robin’s Egg Blue. 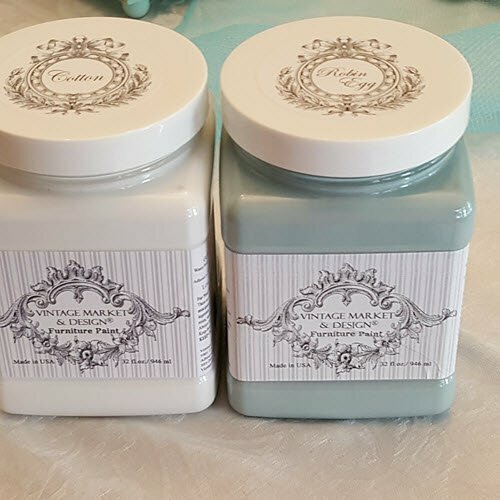 Plus I used their new product, Matte Finishing Cream, that leaves the chalk paint effect we all love and it protects and makes cleaning a breeze. 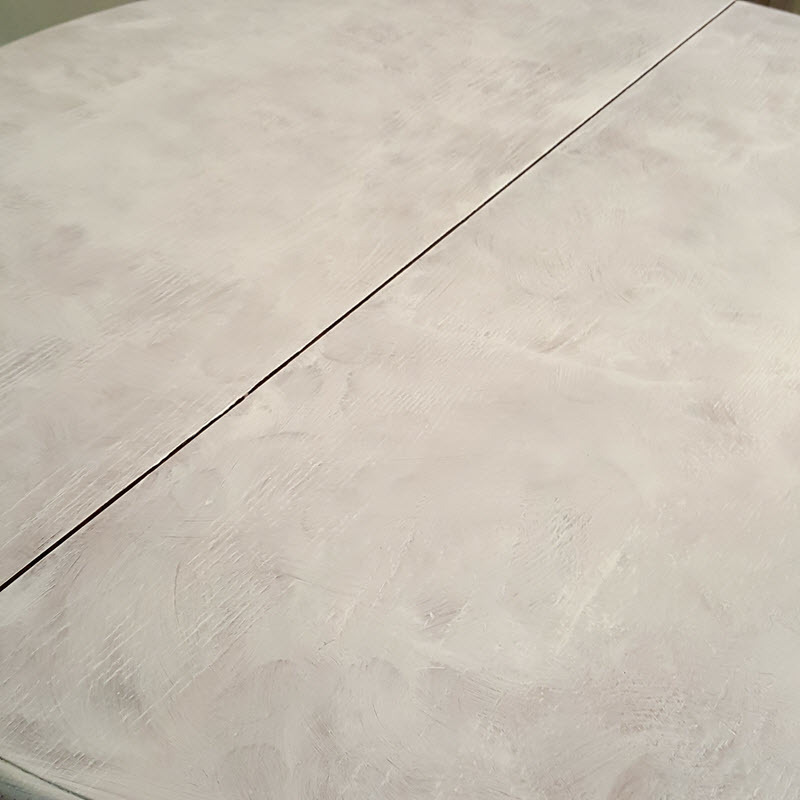 I have applied one coat of finishing cream so far and plan to do more coats (especially on the tabletop) because I am so impressed with the smooth and silky chalk effect the Matte Finishing Cream creates. 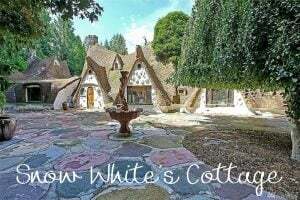 You will fall in love with Vintage Market & Design. 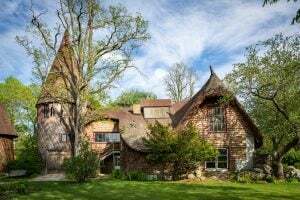 Since 1969 their chalk-based paint and decorative finishes have been made in America. 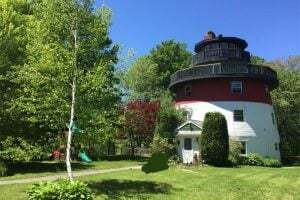 VM&D Professional Paint and Decorative Finish products are formulated to work together to enable anyone, from novice to the professional painter, to create a beautiful and long-lasting finish on wood, metal, glass, rigid plastic or fabric. 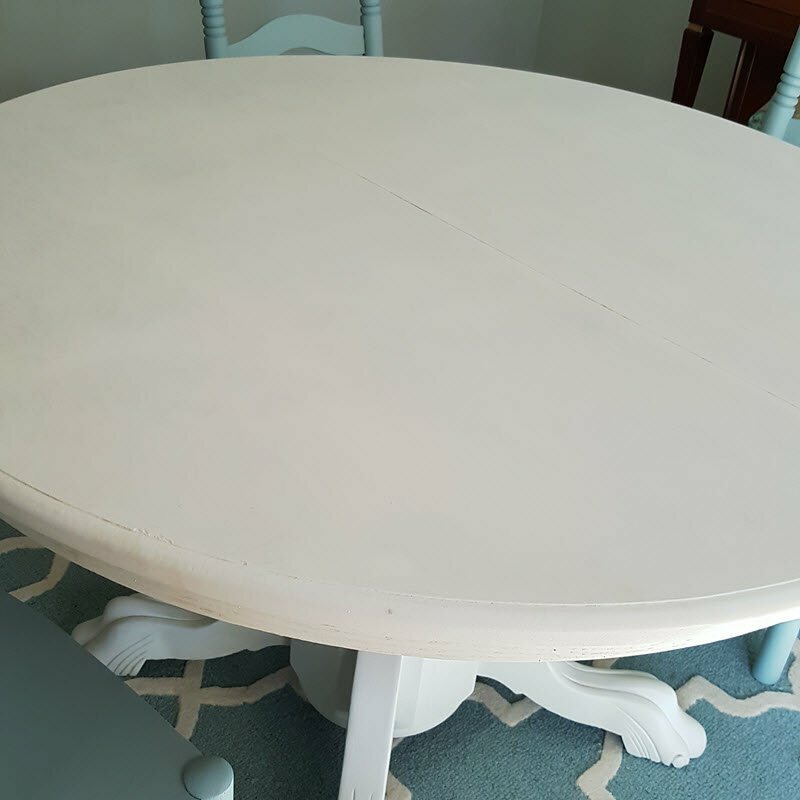 First coat of Cotton White painted on the table. A second coat was all that was needed and we could put the table back together. We like how fresh our Farmhouse style table and chairs look now. The paint is actually not drippy at all. Vintage Market Paint says to dip the brush in no more than 1/4 to 1/2 inch. 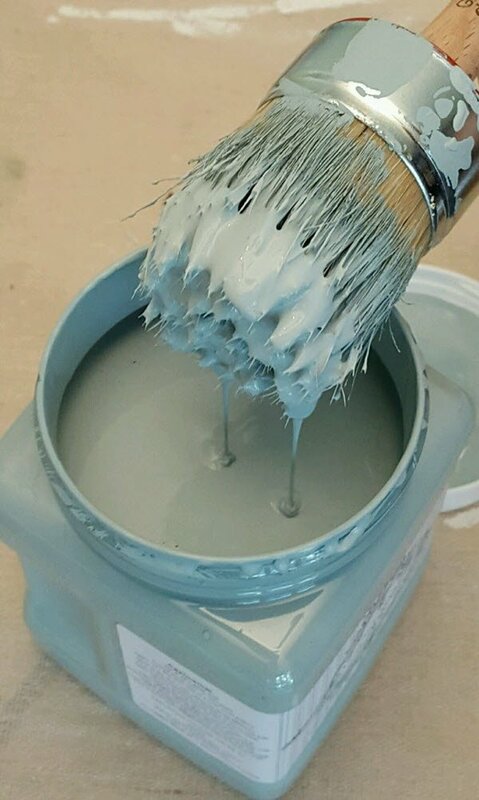 This is Robin’s Egg Blue that is a color I have wanted in our home for a long time. We have six chairs and they were slightly difficult to paint with all the dowels and grooves. I am lucky that my husband helped me with the table and chairs. It took us 2-1/2 days to paint the dining set. 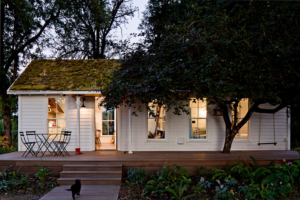 This is one makeover that takes our breath away every day with how beautiful it turned out. 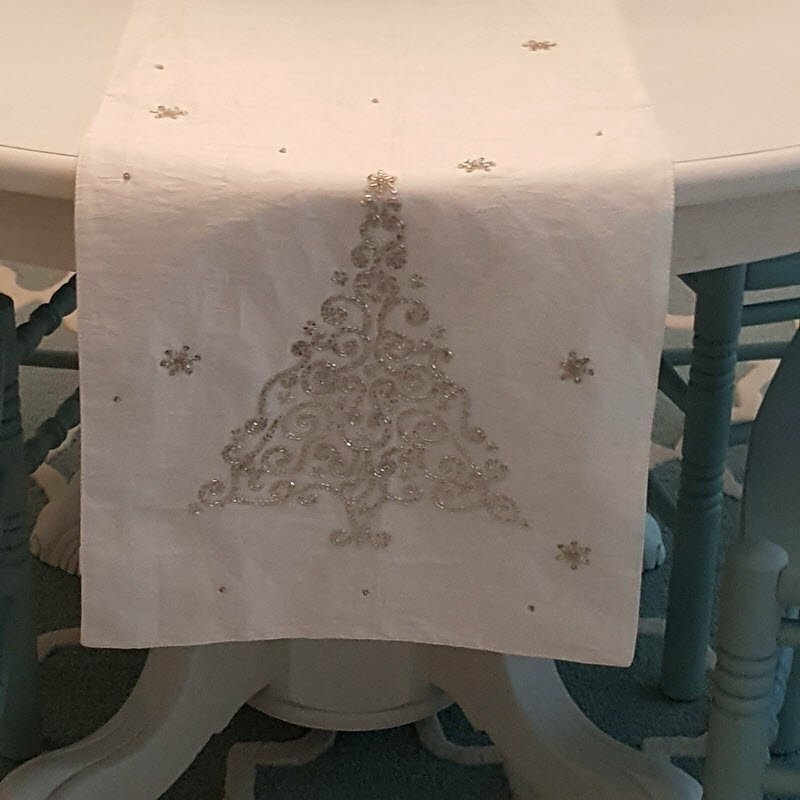 I wanted a white table runner and found this sparkly Christmas runner at Home Goods. 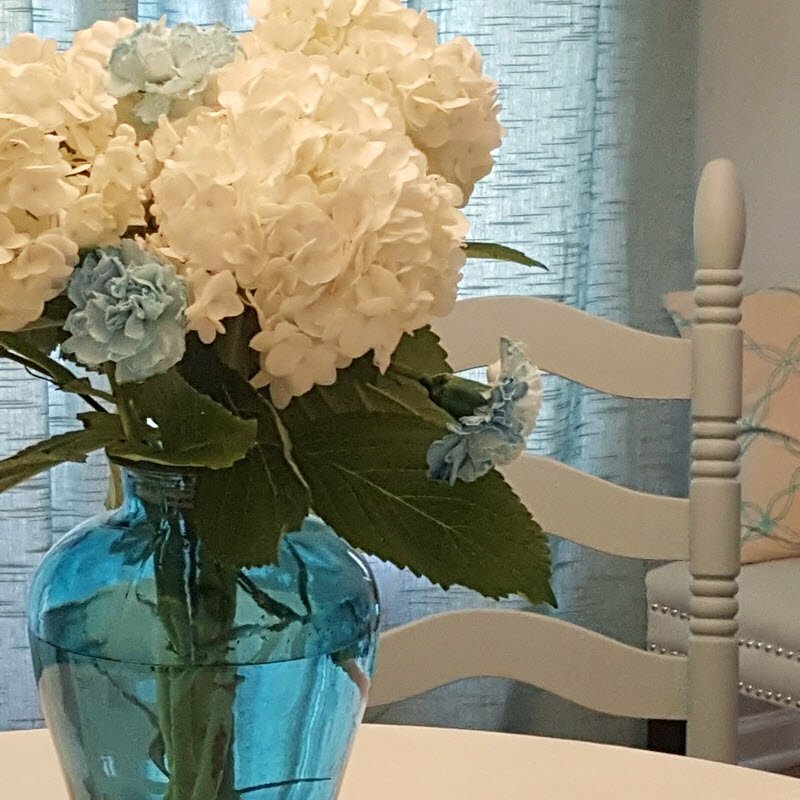 Now we are so pleased to have a blue and white custom table set that compliments our new home decor. I love our morning light that streams into this room on sunny days. I got a lot of joy painting our table and chairs. Thanks to the high-quality Vintage Market Paints I now have a wonderful new dining room set. I love to hear from my readers. 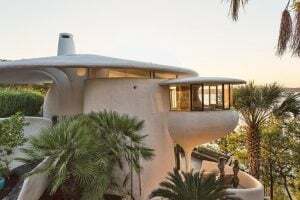 Leave a comment below if you have any questions about this project. The folks over at Vintage Market and Design were kind enough to sponsor this post. Thanks for making Housekaboodle part of your day. 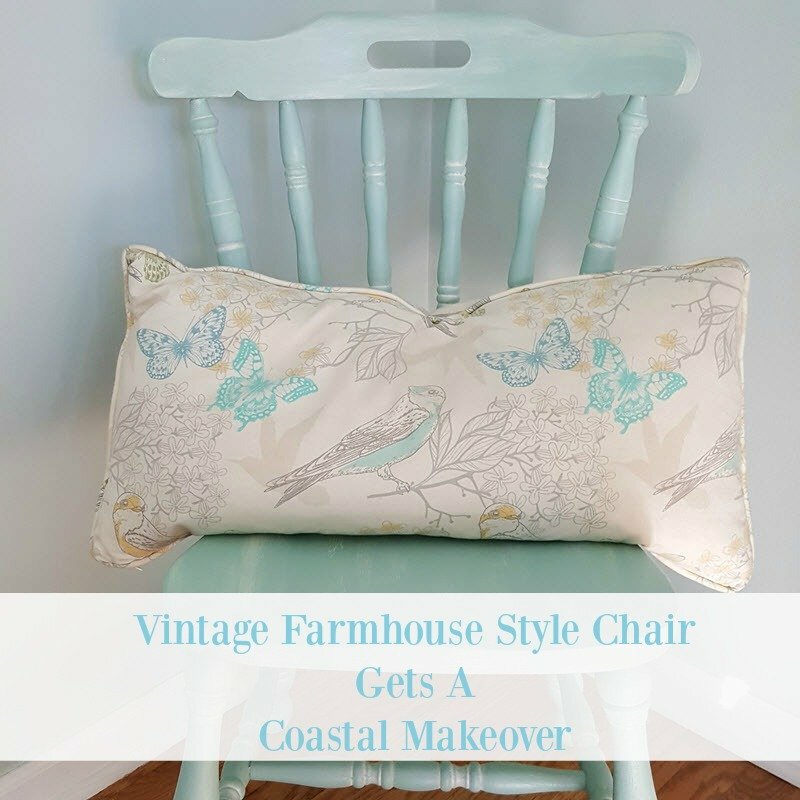 Did you see the Farmhouse Coastal Chair Makeover? I was just wondering if I could use something else other than the wax? Can I use a water base polycrylic for a finish instead? Nice to hear from you today Yvonne. I don’t know for sure. I think that something like Minwax is more for a topcoat after staining wood and using a wax of some kind like I did is the way to go after painting wood. However, just make sure to check if the Minwax is compatible with the paint you use would be the answer. Love your “new” table and chairs. And I love all your flower arrangements. Just wondering if they are real or just look real. I have a hard time arranging my own. Hi Susan and thank you very much. The flowers are real. 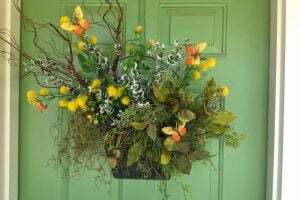 I had a certain look in mind and with the help of the florist it turned out beautifully. Love the results of your paint job. How much preparation was necessary before you began the paint work; that is, how did you prevent a bleed-thru? 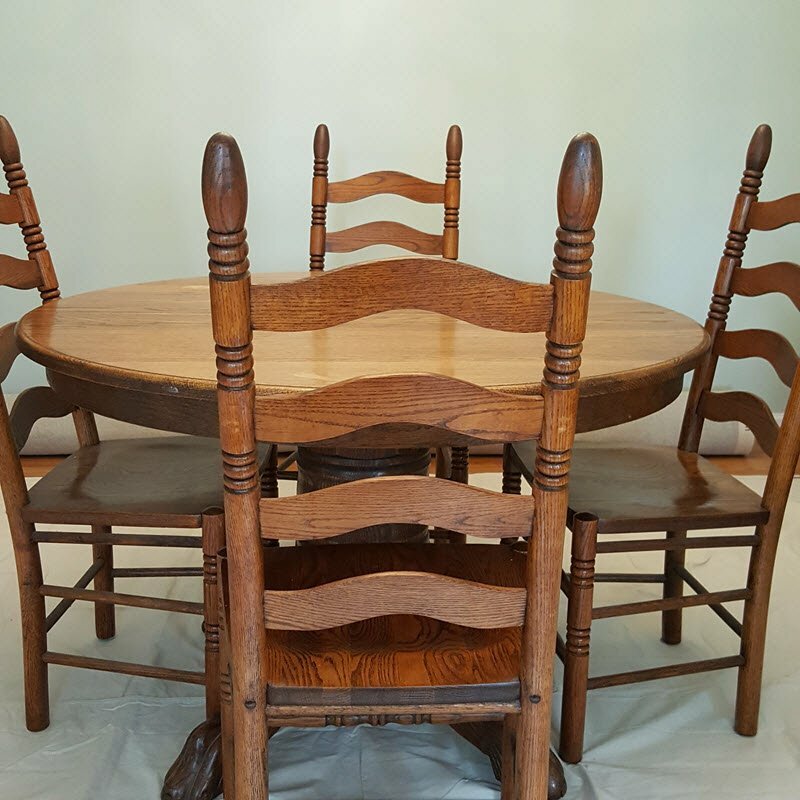 I left an oak table very similar to yours turned upside down last winter on a porch and actually when I did right the table, there was damage to the top – an area of about one foot. Now I have to do something to this table and was thinking about making only the top a different color. But now after seeing what you did, I may copy your idea and redo the whole table. If I do only the top in a color, do I also do the edge of the table top and the apron? Hi Gloria, I am happy to hear from you. I used Savogran TSP heavy duty cleaner to clean my table because that is what we had in stock and I used it on my piano too. I liked it because you do not have to rinse it off. As for the top of your table, I am thinking it all depends on the look you want. Just doing the (only the top) can look really nice and doing the edge and apron will let people see the color from a distance. As for prep, I did not do anything other than apply my paint with doing 2 coats and applying a wax. 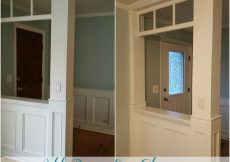 You could do 3 coats OR you could get a prep paint to cover first and then apply your color of paint. Wishing you a great rest of the week. Hi Pam, it is nice to hear from you. I used a product we have in stock called Dirtex and there are other fine products on shelves for cleaning wood. Just don’t use anything with a coating. What I like about Dirtex is that it does not need to be rinsed off. I recall Dirtex is available through Amazon. Beautiful. I was wondering how cleaning the table top is. Does anyone objects that are placed on it leave marks? Hi Barbara and it is nice to hear from you. So far, I don’t have any trouble with marks being left on the table. Now this is what I call refreshing! I love everything you did with the table, especially that table runner and the vase. You’re talented! Keep up your good work! Happy holiday Sue! Hi Kim, I cannot express how much your kind words mean to me and you made my week! Have a great day today too. Fabulous makeover. 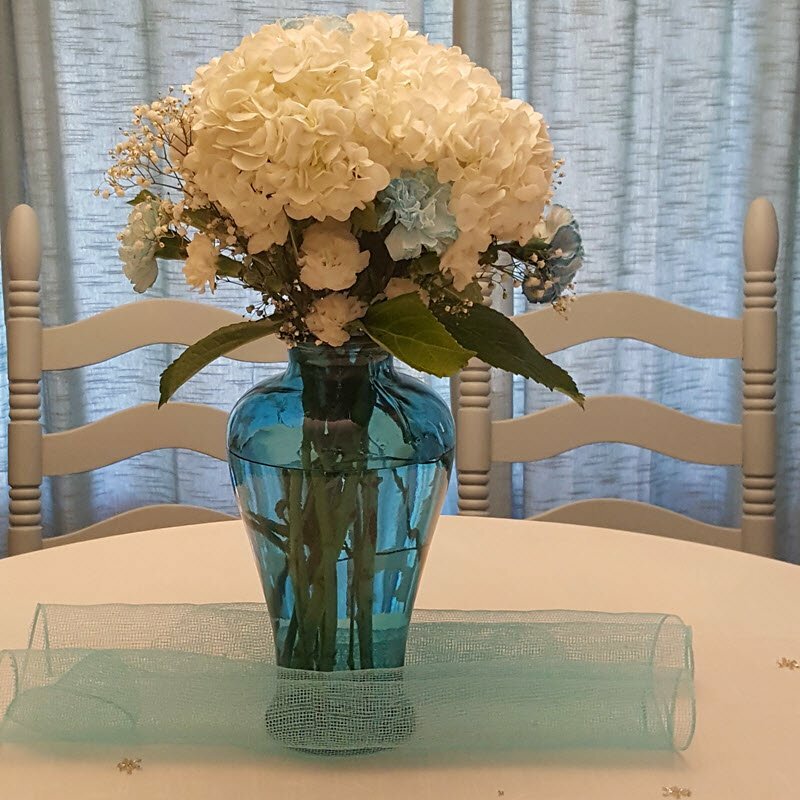 The most beautiful part of the decoration is flowers placing on the table. Looks stunning. Love the way you choose that shade ! So nice, it makes your dining room extremely vintage ! 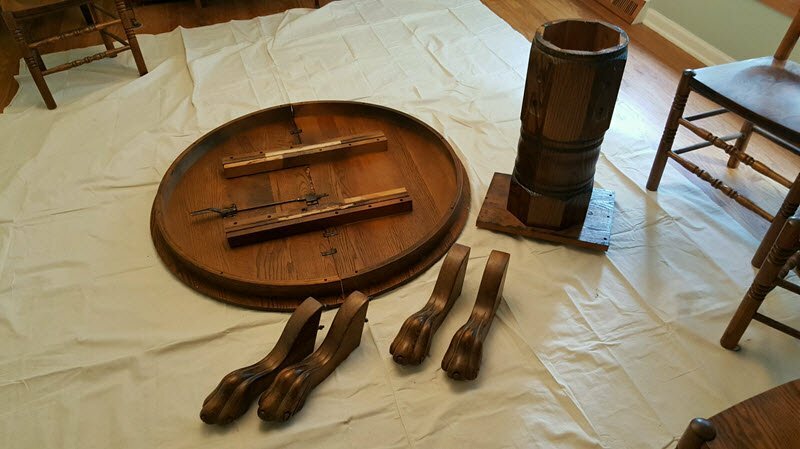 Thanks for sharing the project Sue, gonna save it and try with my table set at home soon ! Omg the table and desks look so stunning ! 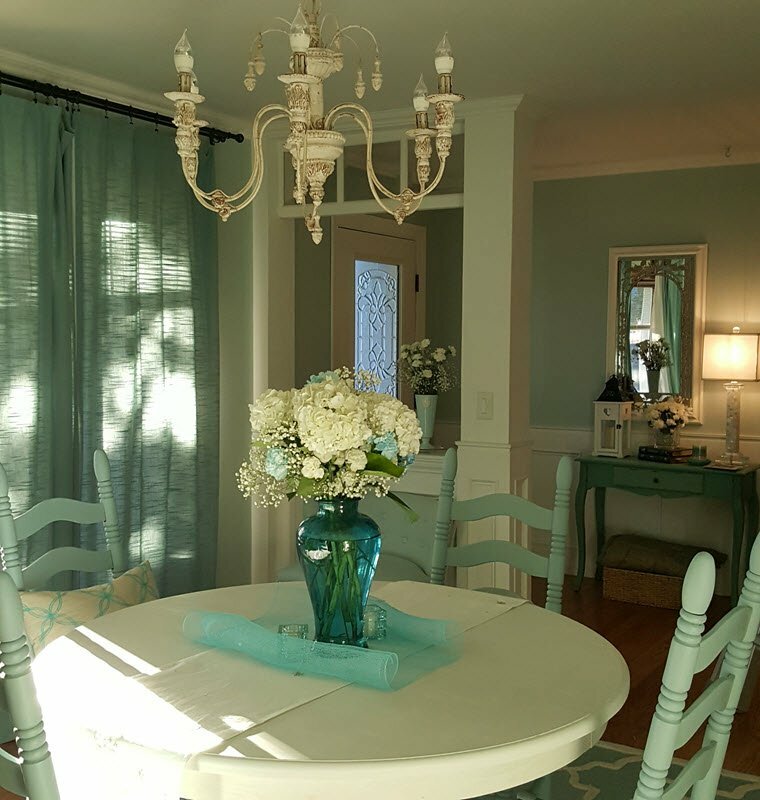 Love the shade of them, so vintage and it makes the dining room more beautiful ! 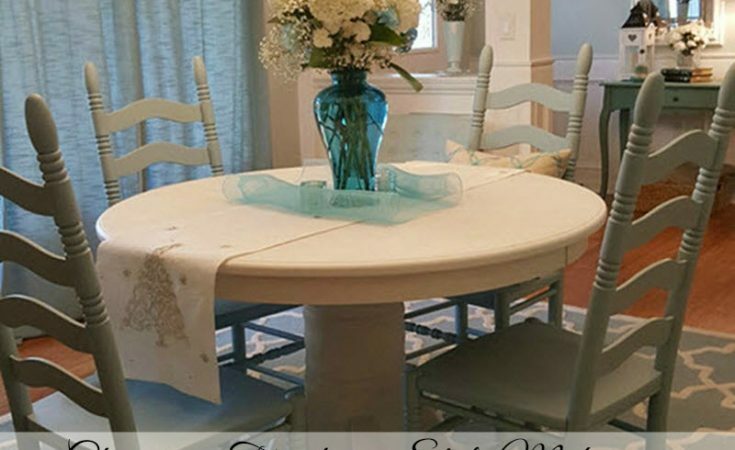 Thanks for sharing this makeover Sue, i just saved it and gonna try it soon with my old table set at home ! Awesome Minnie that you’re going to paint your table set now too. Thank you so much for the compliments today. Happy Thanksgiving! 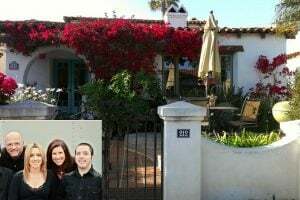 Hi Sue, I was so excited to find your painted table and chairs! I’m going to try it with my tradition old set. I had no idea I could do it without sanding! What miracle is this!? Ps. I used your picture of the closeup vase as my background picture on my computer. It almost looks like it’s actually sitting on my side table :-). Thank you Thank you Thank you! Hi Kimberly. I am happy to hear from you and that you like my table and chairs transformation, it made my day today. 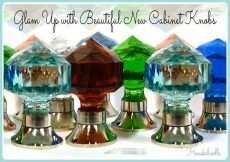 I bet your set will look stunning after you do it. Hey Sue!! I love your new set! It is so much cheaper to just repaint and old beloved set. I just did not myself with at least my chairs and it made all the difference! 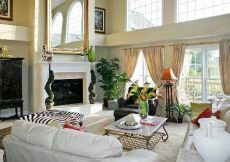 Your room is simply stunning! I am so happy to hear from you Suzie. You made my day with such a nice compliment. So nice to hear you painted your chairs. Wow Sue I cannot believe that is the same table and chairs. I am in love with these colors and it just turned out so nice. I love it. 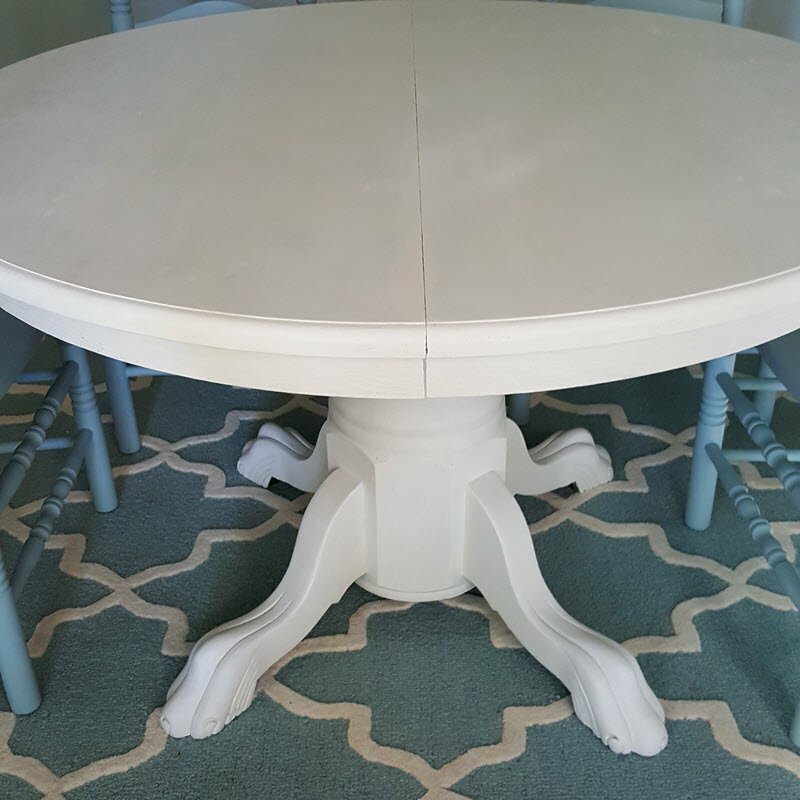 Thank you so much Michelle, this is our first time using chalk paint and we like how it turned out. Big thank you Susie. I think doing the table really set the rooms tone and now I know I’ll have fun finding decorations and more furniture for it. This transformation is simply stunning Sue! I am drooling over the colors. I love your table and chairs they look so chic! What a great job you did. I just love it! Thank you my friend. 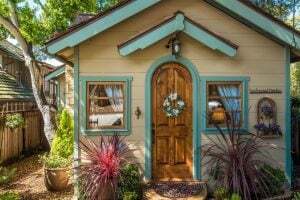 Visitors call it cottage-like or farmhouse so your description chic makes me happy.